Today surrogacy is in high demand that is why many clinics have included this reproductive technology to the list of their offers. Married couples accordingly get possibility to choose among surrogacy clinics. Of course, by choosing a clinic you need first pay your attention to the quality of services offered. However, there is another quite important question that still need to be cleared at a stage, where you are only choosing a medical facility. It is receiving of documents for your child. You will be required to execute passport for your surrogate child that will be valid in your country. Unfortunately, not many of reproductive clinics can solve this very important issue. Married couples considering surrogacy often ask: «Who will be parents of the child? », «Would there arise any problems with surrogate mother? », «How can we legally execute documents for the child and do it quickly, without delay?». Let us work this out step by step. Who will be parents of the child and would there arise any problems with surrogate mother? You would like to have a child and ready to use the services of the surrogate mother? Even though another woman will carry out a baby, it will be still you the parents of the child. 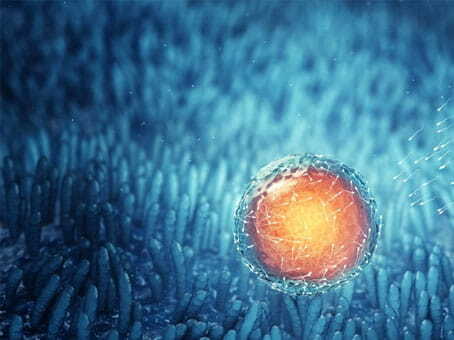 During surrogacy, fertilization takes place “in a glass”. In this, will be used egg cells of a woman and sperm of a man from married couple. It means that received embryo will be genetically yours for 100%. Afterwards, it will be transferred to the uterine cavity of the surrogate mother, but it does not affect his genes. Even if you need to use a part of donated genetic material (to take donated egg cells or sperm) , your child will be anyway for 50% genetically similar to your married couple. According to the current legislation of Ukraine, surrogate mother does not have any right to give her own egg cell for the procedure. Accordingly, she will be not related to the child under any circumstances. His real parents will be you and this fact should be confirmed in documents for a child that you must receive at once after his birth. Ukraine has a law that clearly regulates process of using surrogacy. Parents of the child receive multi-level protection and if you correctly execute all surrogacy documents and legally obtain a passport for a surrogate child, than there would arise no problems with surrogate mother. How to execute surrogacy documents and apply for a child passport? Theoretically, you can independently execute documents for your surrogate child, but it is expensive, it will take quite a long time and during it may arise several obstacles, because this process has its own specific characteristics. It is important to consider a huge number of nuances such as particularities of execution according to the requirements of your country, complexities of private character, if there are any (absence of formal profit, existence of credit, mortgages etc. ), to collect all required documents and take into account number of other documents. There are times when consulates do not let surrogate children out. Sometimes representative offices of some countries unofficially present difficulties for parents, whose children have signs of those born through surrogacy. However, you can prevent it by clearing this issue in advance. 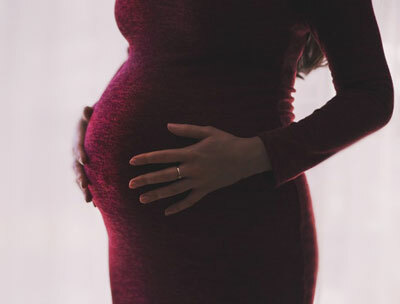 Not all reproductive clinics offer services on execution of the documents for a surrogate child, but it is to your advantage to choose a clinic that could provide a full range of services, including legalization of the child through passport execution. Legal support should begin at the outset of a contract signing. Feskov Human Reproduction Group offers full legal assistance, including execution of all required surrogacy documents, biometric passport for a surrogate child and all other papers required for efficient border crossing. Lawyers of the clinic have developed a step-by-step roadmap that allows formally and officially execute documents for a surrogate child and that is constantly being tested by practice and never failed. We have 100% confidence of the results because we are working in this field already for more than 15 years and all this time we have never had children with unexecuted documents! All those people who have addressed us concerning surrogacy and have concluded a contract with us, have received documents for their surrogate child and have successfully returned to their countries. Taking into account that we have worked everything to the smallest details, we have included legal assistance in a VIP-package. For those, who choose it we guarantee a birth of the child and 100% legalization of documents for a child. 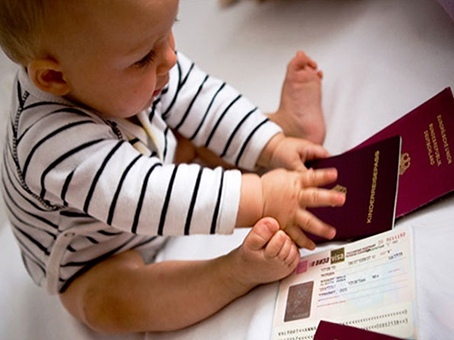 As soon as your child will be born, he will easy and as quickly as possible obtain the passport of your country, where you will be indicated as his parents. We have our lawyers directly in your country. They act strictly according to laws, both in lawful manner of your country and in the light of the legislation of Ukraine. Feskov Human Reproduction Group cooperates directly with consulate and embassy. We will know at once if your country will change some rules or requirements regarding execution of documents and therefore we are always executing documents for a surrogate child without any problems. Feskov Human Reproduction Group with great pleasure helps everybody who address us concerning surrogacy and execution of documents for a surrogate child. Together your dream of childbirth will come true and you will easy overcome all legal difficulties!